Car travel is an essential part of life for many dog owners but what should be a fun road trip can sometimes become a ‘highway to hell’, with dogs running loose around the car, barking and creating mayhem as only dogs know how! Securing your dog in the car will keep him from being a nuisance to the driver but it will also help to prevent him from being seriously hurt in the event of a crash. 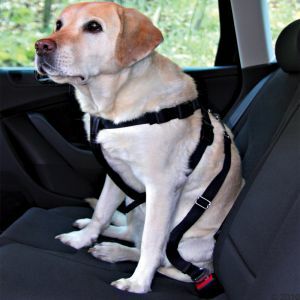 An inexpensive car harness like the Trixie Dog Car Harness will connect with all standard car seat buckles and will keep your dog secured in the back seat or passenger seat. Safety grids will stop your dog leaping over the back seat and keep him safely secure in the luggage area. 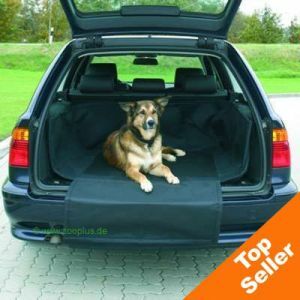 Another option is to use transport cages or carriers – the zooplus Double Transport Cage is a great option for owners with two dogs they need to keep separated in the car. 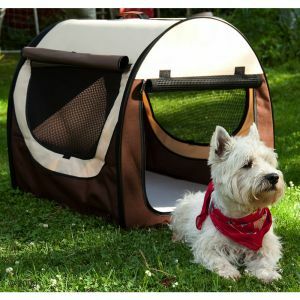 For smaller dogs, a soft dog crate can be used for transport but also as a neat portable kennel at your destination! Just because your dog is away from home doesn’t mean he has to go without all of his favourite possessions. 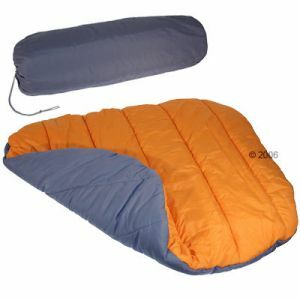 Bring along his favourite toy for comfort and a cosy weatherproof travel cushion for him to snooze on like this super light Dog Cushion Journey Orange. Take plenty of drinking water – keeping it cold in a thermos flask is a good idea for hot days and a non-spill water bowl will help keep spillages to a minimum. Or if you want to travel light, you could use a fold-away bowl like our Silicone Travel Bowl which will pop into your rucksack with ease. If your dog is magnetically drawn to water and mud then a seat or luggage area protector is a great way to save time spent constantly cleaning the car interior. 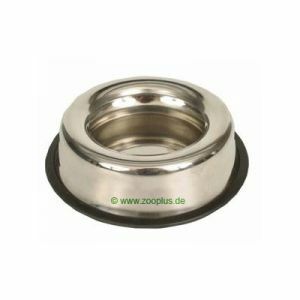 Just in case of accidents, take along some odour/stain remover – like Hagen Dogit S.O.X. Stains and Odour Remover – it will help make the journey home a lot more pleasant, for you and your dog!